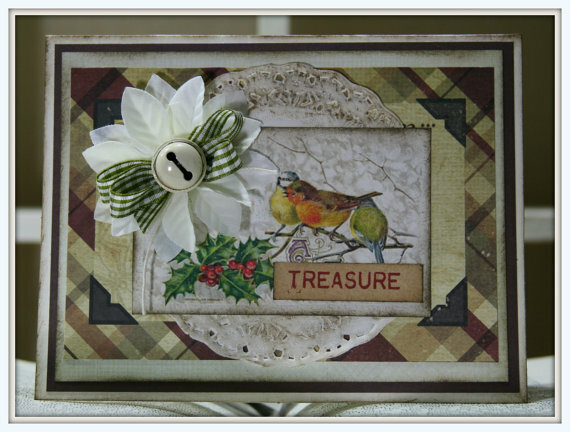 Shabby chic and Christmas are two things that really go together. With a little help from my friends I’ve got the shop decked out in soft pinks and whites with lot’s of silver and crystal. Hand crafted ornaments are the icing on the cake. I’ll be sharing some views of our holiday displays over the next few days so I hope you all check back often to see them all. A few close up shots of the tree. I’ve added a pretty metal rack to hold the overflow of ornaments. Just kidding…I’m not blue….I’m just referring to using blue in the color scheme for this Christmas card. It may not be traditional…but I love it. The colors came from the banner on Santa and his coat. What a happy stroke of luck when I found the pretty printed paper with blue snowflakes and red stitching. 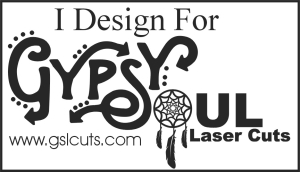 I added this sweet printed acrylic die cut with score tape. 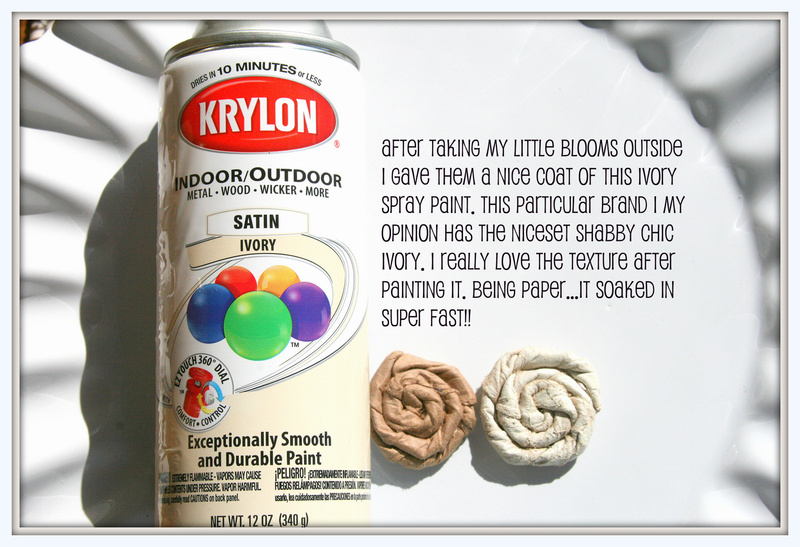 It works great for see through embellishments. 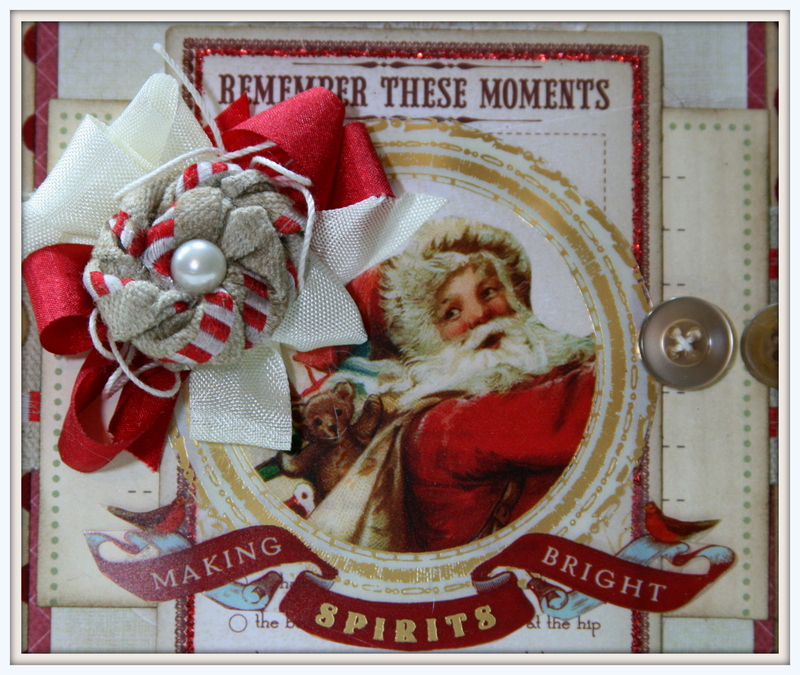 This great layered bow has Ivory wrinkle ribbon, cherry bakers twine from Really Reasonable Ribbon, and a painted jingle bell. Here’s the next segment of Holiday cards for our class Dec. 4th. 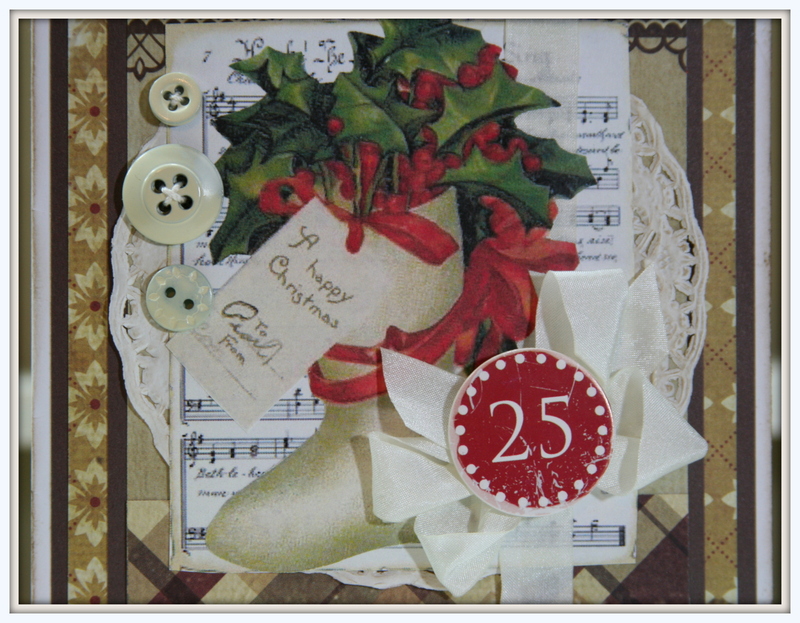 5 vintage inspired Christmas cards with load’s of trims from Really Reasonable Ribbon, holiday images, snowflakes, chipboard and bells. 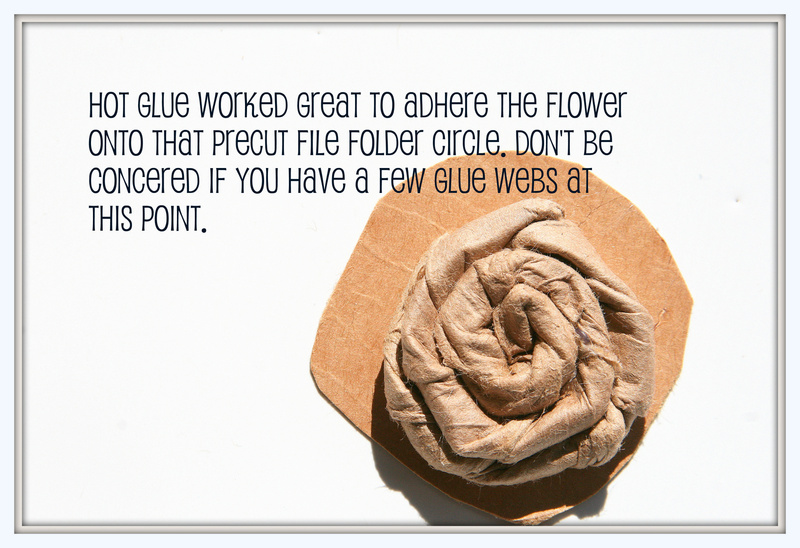 All supplies are included and adhesives and use of Polly’s tools. All you have to do is come in ready to work. Cost for the class is $25. Due to pre-registration there are only 2 seats available for the Dec 4th class from 6pm to 9pm. Stop in to the shop to see the cards and reserve your seat. If you’d like to reserve your space over the phone…simple call me at 734-268-1109 during regular business hours to leave your deposit. Please do not leave deposit information in a message. I’m making 5 kits available for this class available through the Etsy shop. 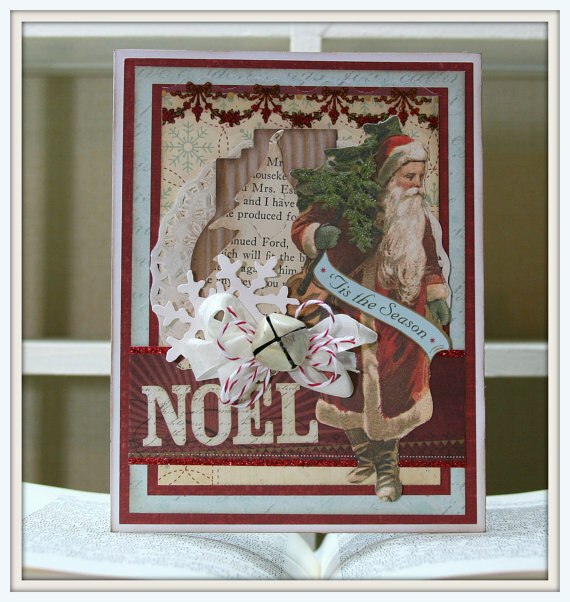 Kit’s will come with everything you need to complete these 5 cards including adhesives and the pieces pre-cut. After purchase an email will be sent to you with pictures of the completed cards and instructions. If you’d like to reserve a kit….please email me at vnemchak@hotmail.com. This will be first come first serve. 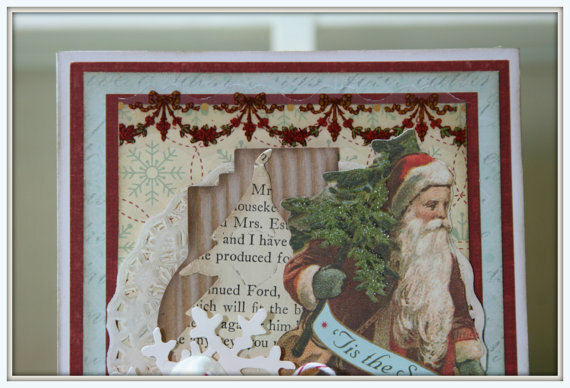 It’s getting pretty close to the holiday…so this will be the last Christmas card class of the season. But not to worry…we’ll be offering lot’s more classes and online projects after the new year. I’ve got some great projects planned. What’s better than giving someone a lovely handcrafted holiday gift? Getting a great deal on a fabulous selection of ready to gift holiday items. 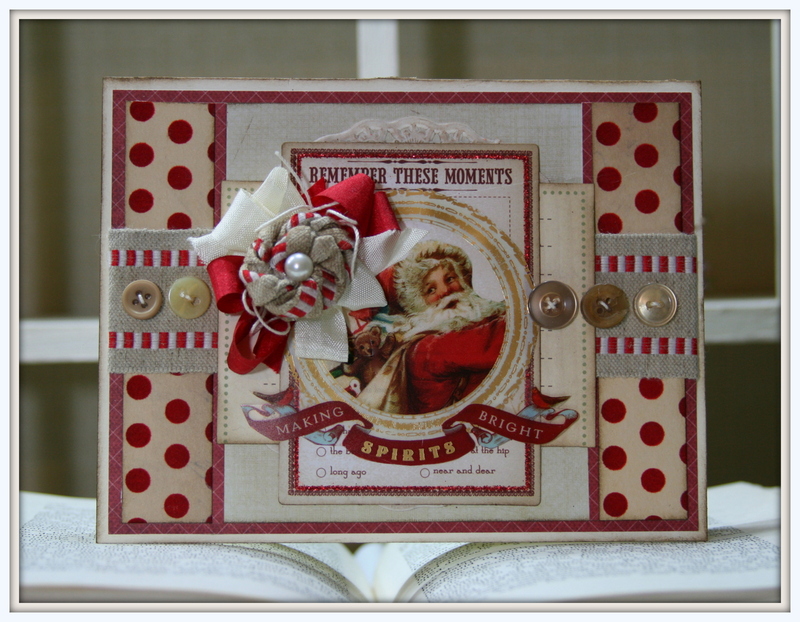 We’ve got cards and books so special they’re sure to become treasured keepsakes. 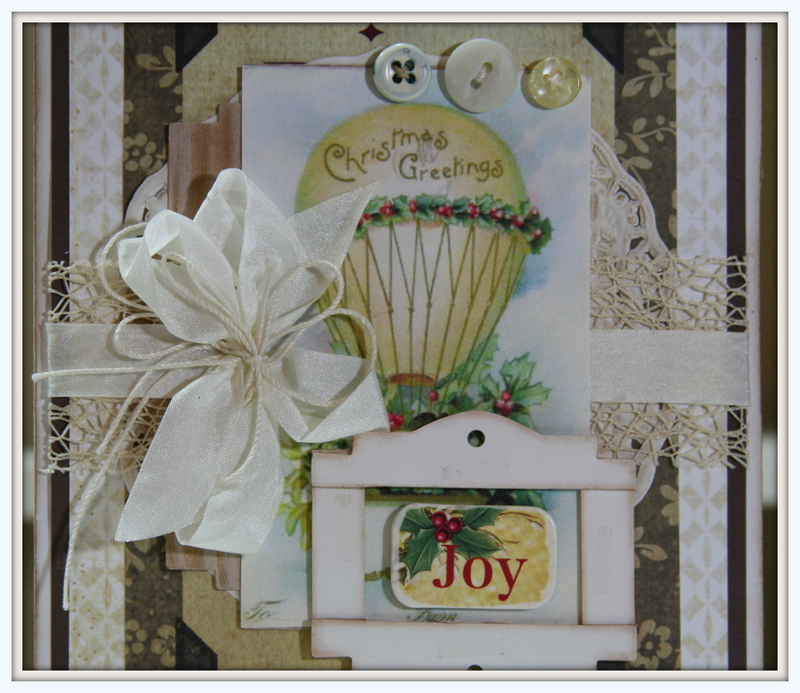 Want to create your own wonderful holiday projects??? We’ve got all the supplies you need to craft something for you’re special some ones. All items in the Etsy and in the store in the Dexter shop will be 25%off. Just click on this link and use coupon code preholiday2012 to start saving now through November 30th. Sorry this discount does not apply to card classes or kits. 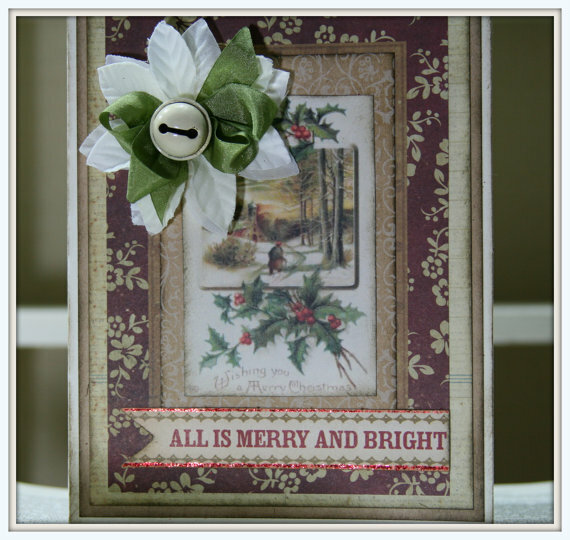 Here’s a great tutorial that’s quick and easy and just in time for the holidays. 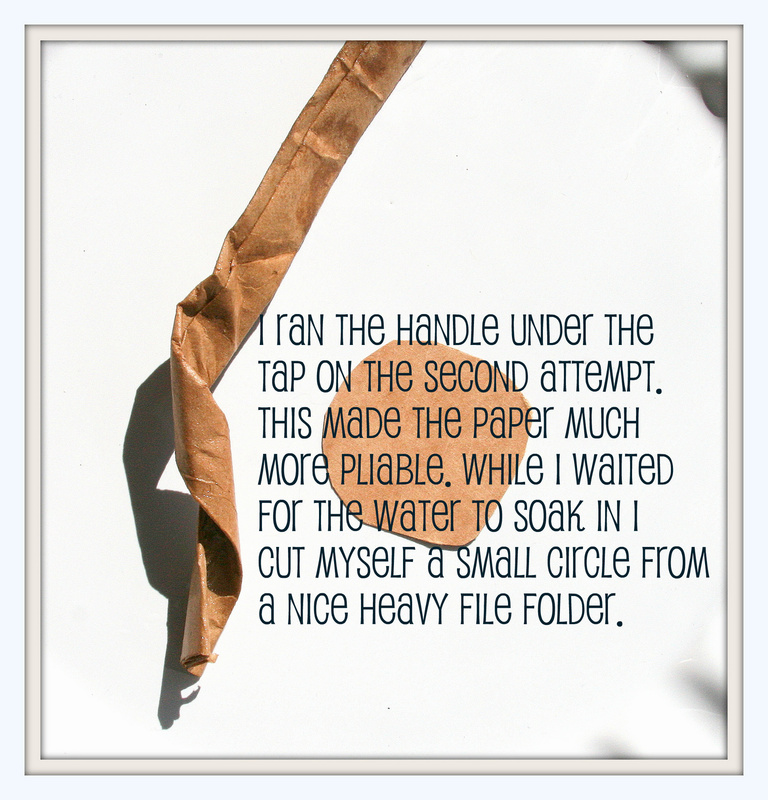 It’s also a great green recycling project. The inspiration for these little cuties came to me while packing up my Etsy orders. 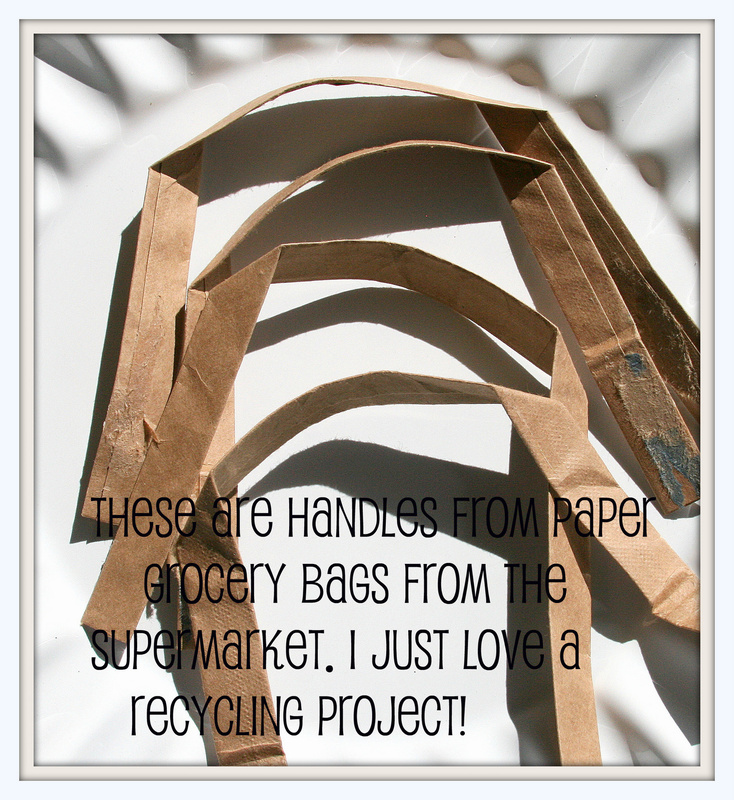 I love to reuse my grocery bags as brown craft wrapping which results in tons of paper bag handles. 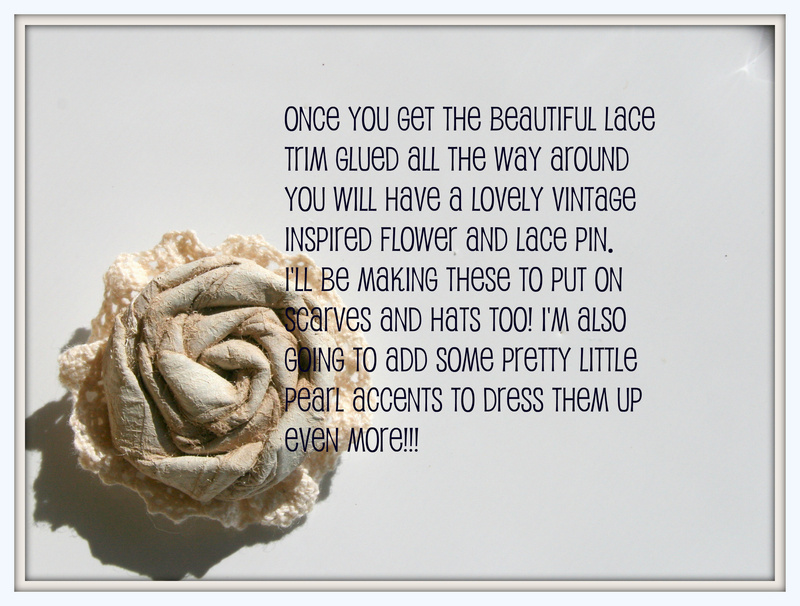 So without further ado….Shabby Chic Flower Pins. This is a long post for a quick project…so grab yourself a nice cup of tea and settle in…you’ll thank me later! 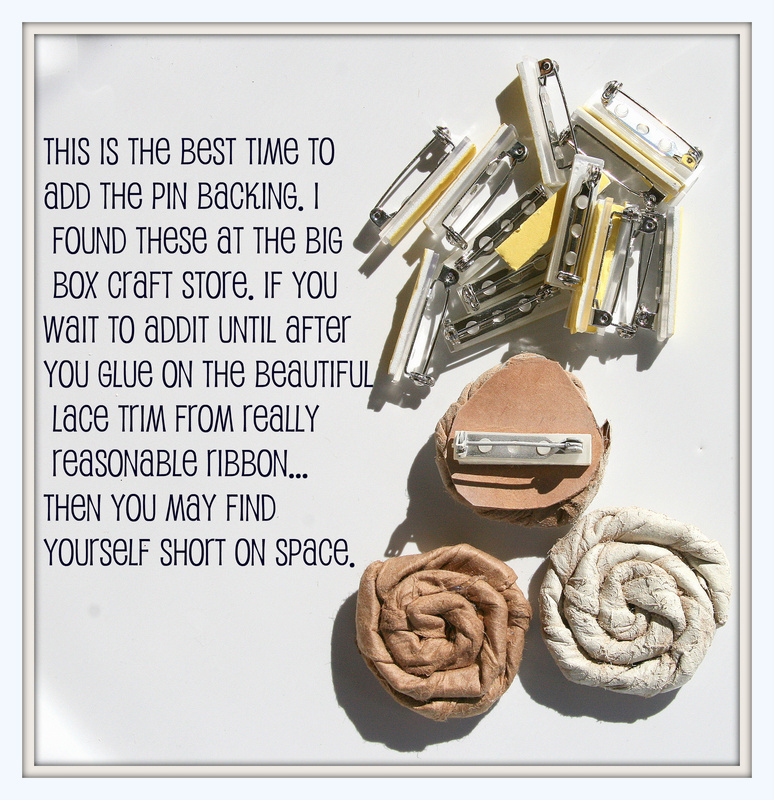 Warning….making these pins is super addictive. Once you get started you’ll be hoarding the bag handles lol. Can you just image them in different colors like shabby pink????? OMG that is what I’m going to make at work today. 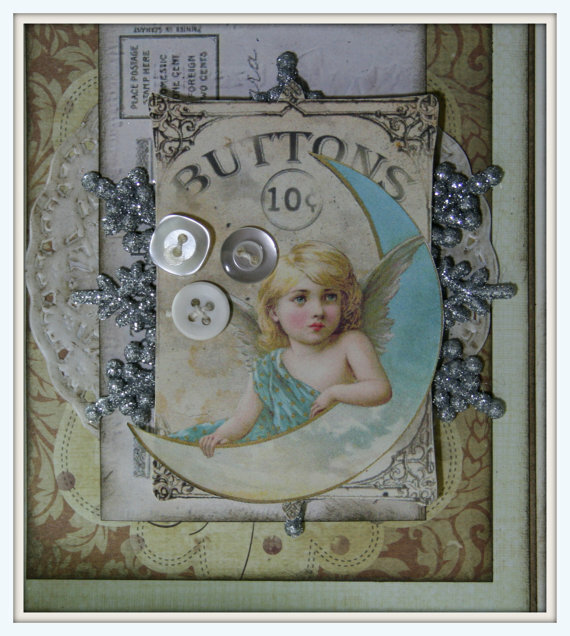 These pins will make fabulous last minute gifts and stocking stuffers. 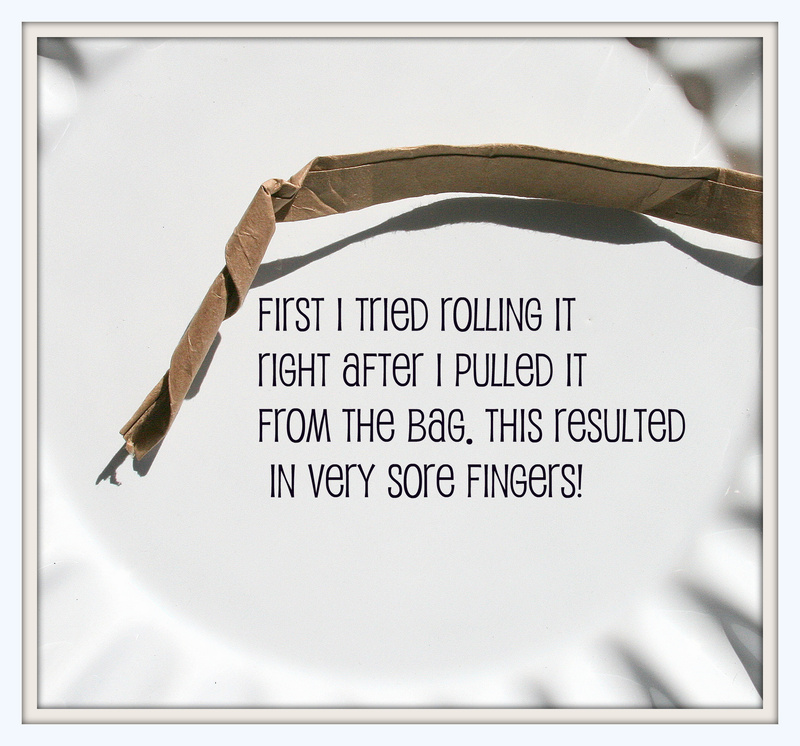 After the bag handles have dried they are super sturdy so no worries wearing them on clothing. I’m also thinking that it would make a great wrapped gift topper????? Instead of a throwaway bow!!! Like a gift with a gift on top : ) That’s a double win. 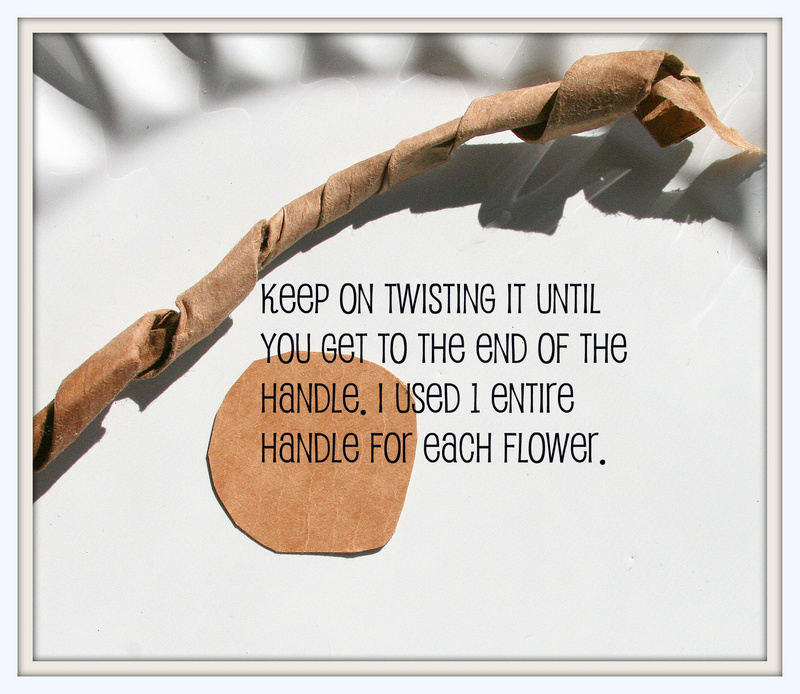 Why not whip up a few without the pin backs to add to your paper crafting projects. 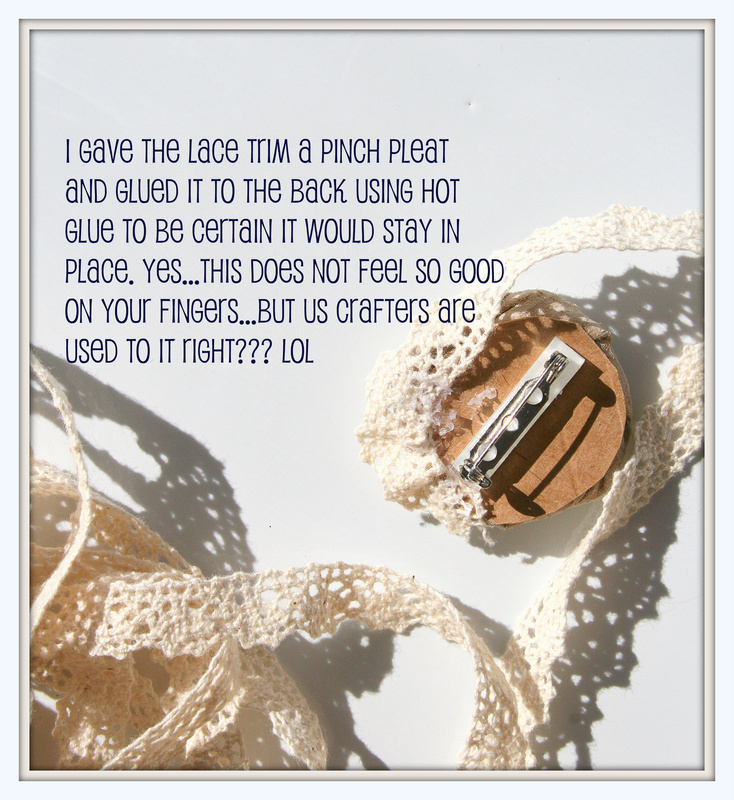 I’m sharing this post today at Really Reasonable Ribbon’s Ramblings and I suggest you hop on over and check out the great selection on trims to add to these pins. 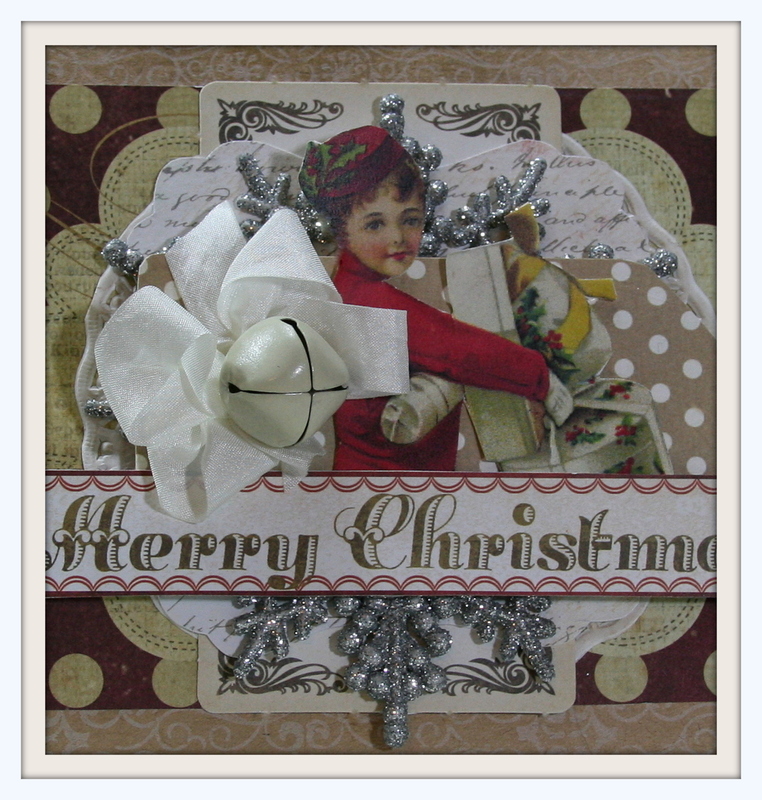 Just popping in to share a card I created with some really fun vintage-retro Christmas patterns. 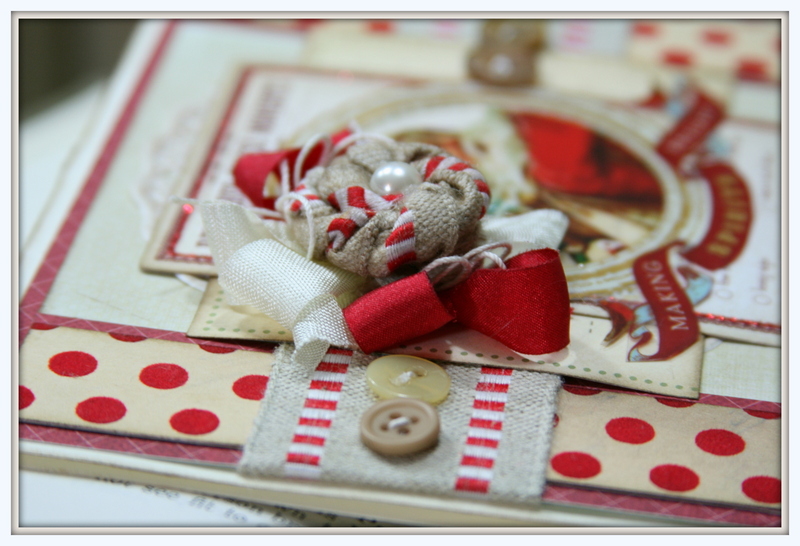 I love love love the red flocked polka dot paper : ) I layered it in with some glittery die cuts, burlap trim, a giant poofy bow and vintage buttons. If you happen to be working on a project and asking yourself “Is this a good place for burlap trim?” the answer is always yes. Recently I have discovered that score tape is the very best way to adhere shiny non-porous embellishments to your projects. I made myself a little rolled flower to add to the poofy bow and topped it off with a pearly accent. A few loops of string and nice texture. Okay that’s it for me today. 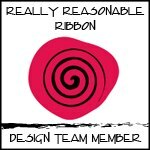 Don’t forget to pop over to Really Reasonable Ribbon’s Rambling to see who won the” Winter Challenge” and to check out the details of the “ Anything but a card” challenge. You can enter your own project for a chance to win. 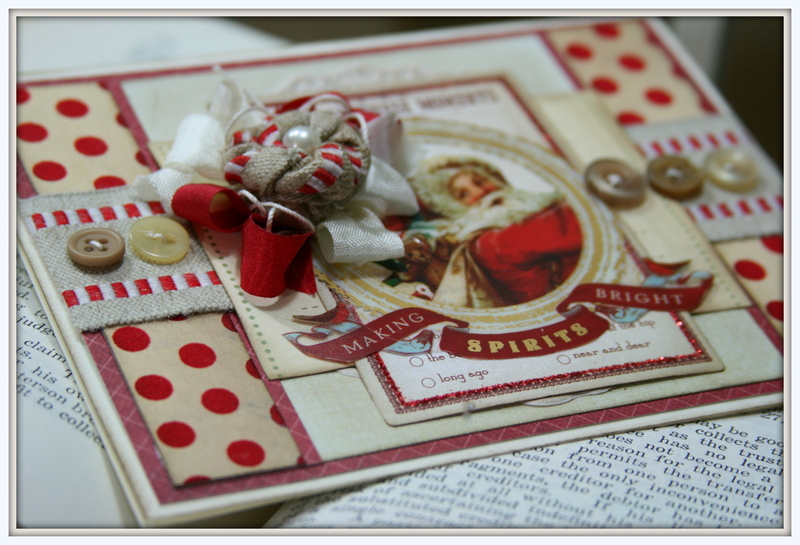 We’ve got another round of beautiful vintage inspired Christmas cards for our class November 20th. 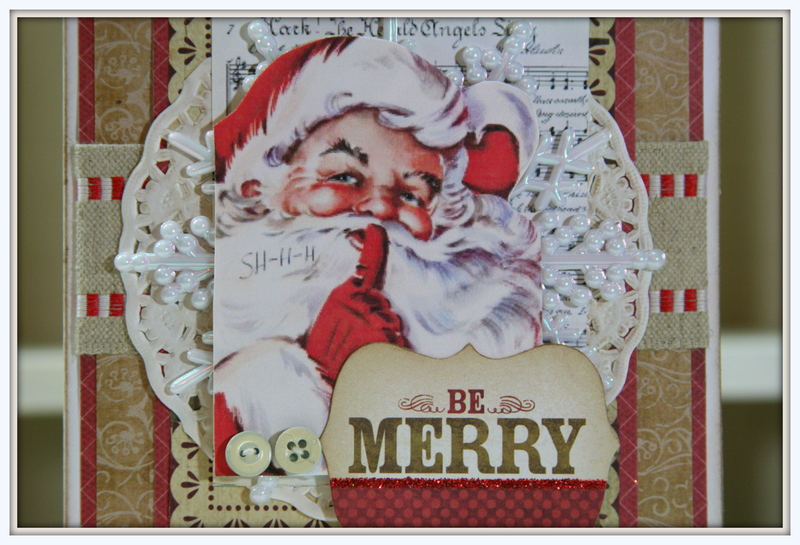 Here’s a full pic of one of the cards we’ll be creating in our class. 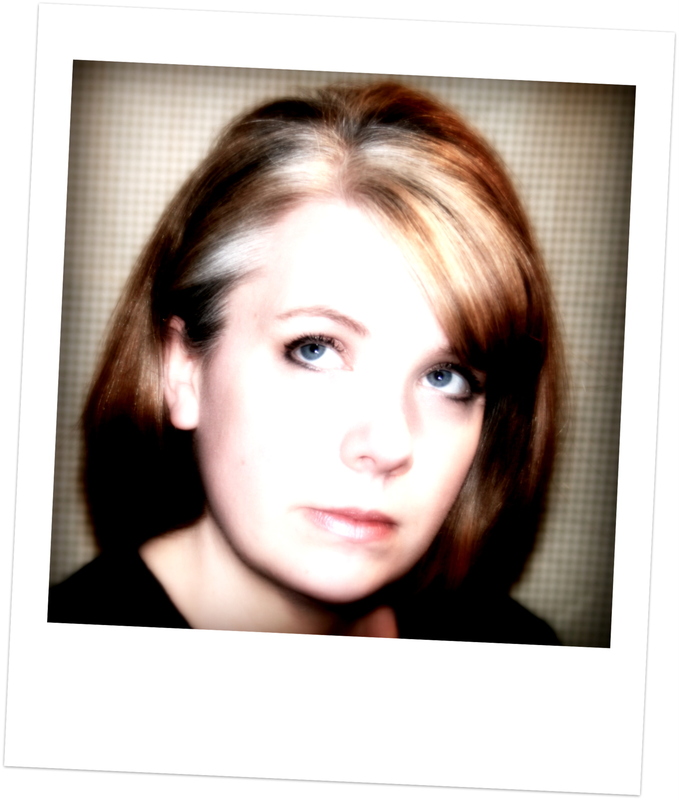 The rest are teaser shots…. 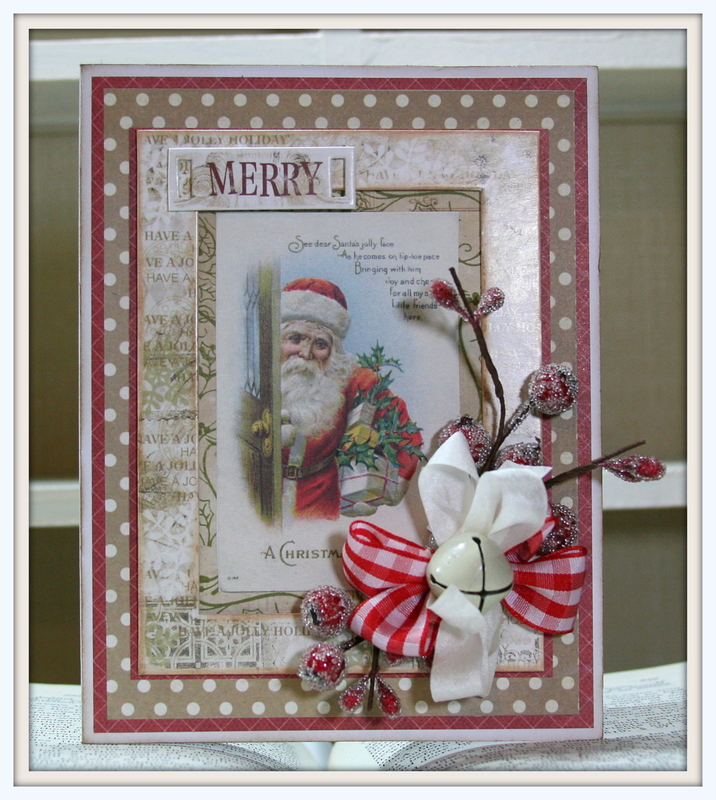 As you can see I’ve created these special holiday cards with loads of paper layers, trims from Really Reasonable Ribbon, buttons, doily’s, bells, chipboard, and fun Christmas embellishments like crystaly berry stems and snowflakes. 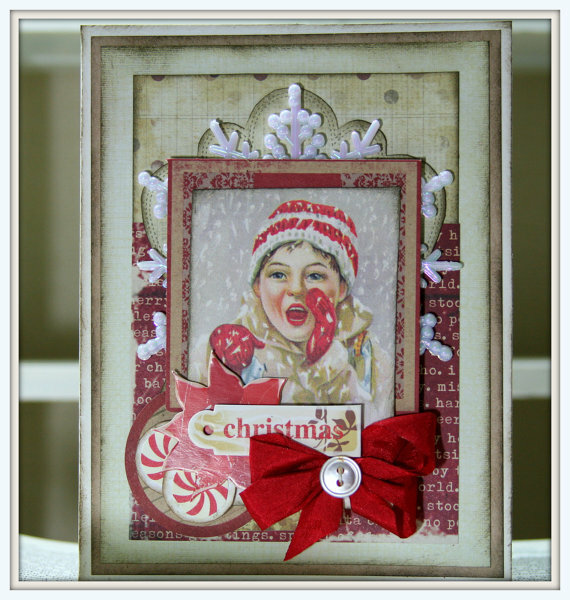 And of course vintage holiday images from Graphics Fairy. This class will be from 6-9 pm November 20th. 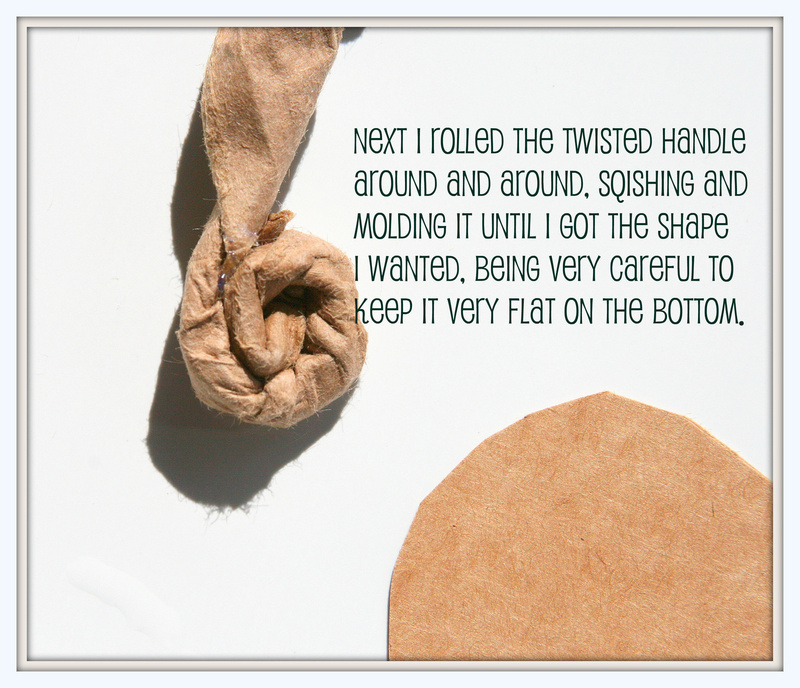 All supplies and adhesives will be supplied and use of Polly’s tools…so all you have to do is come in ready to work. We’ll supply a beverage and snack as well for those folks coming straight from work. 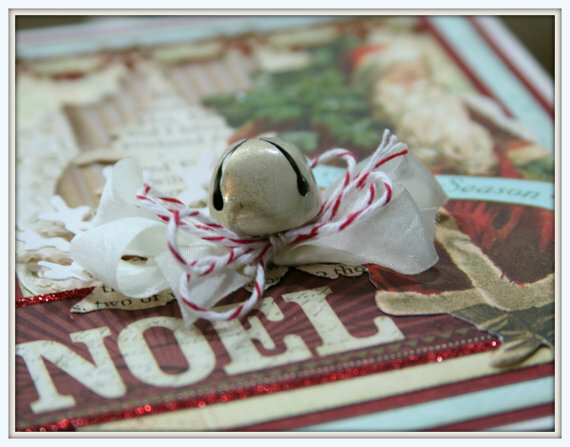 I’ve also set the mood with lovely shabby chic Christmas decor in the shop and holiday music in the background. Cost for this class is $25. Due to pre-registration there are only 2 seats available. 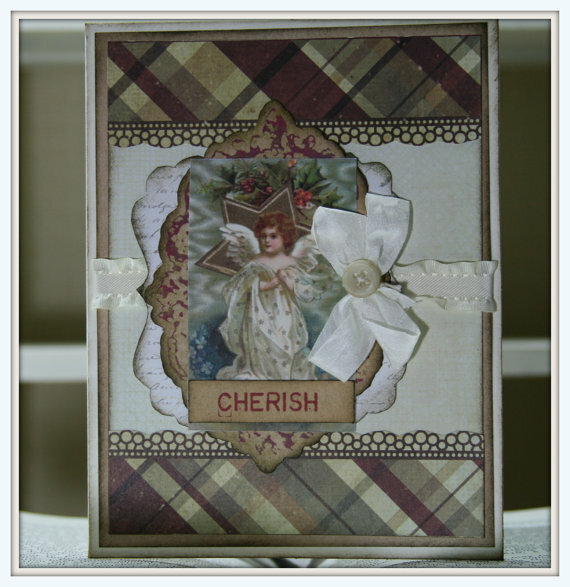 Stop into the shop to see the rest of the cards and leave your deposit to save your seat. You can also leave your deposit on the Polly phone 734-268-1109 during regular business hours. Please do not leave deposit information in a message. There will be 6 kits available for this class upon request. 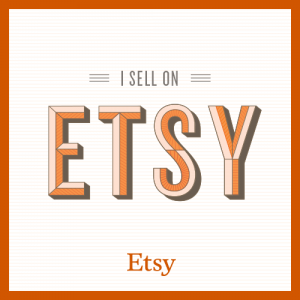 Email me at vnemchak@hotmail.com and I’ll happily create a reserved listing in the Etsy shop for you. 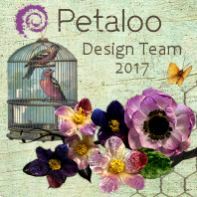 After your kit ships…I’ll email you with the complete pics of all the cards to use as a visual reference…and I’ll include easy peasy to follow instructions so your kits will come together in a snap.